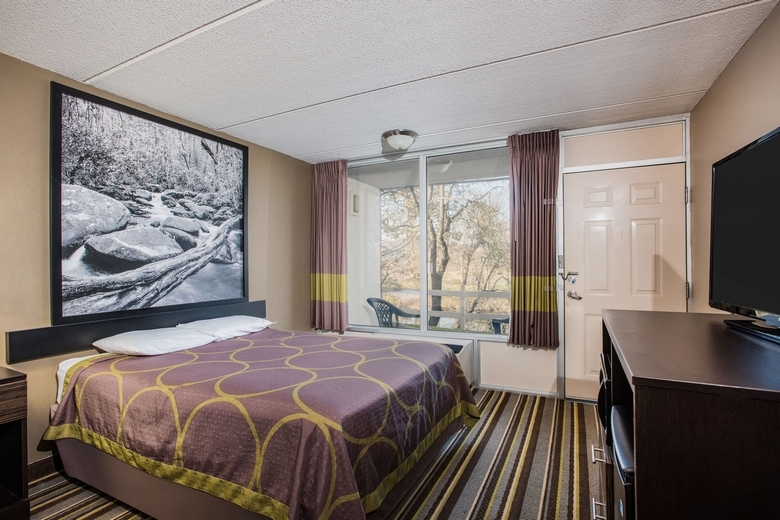 Welcome to Super 8 by Wyndham Sevierville Riverside Close to Douglass Lake and Pigeon Forge attractions. 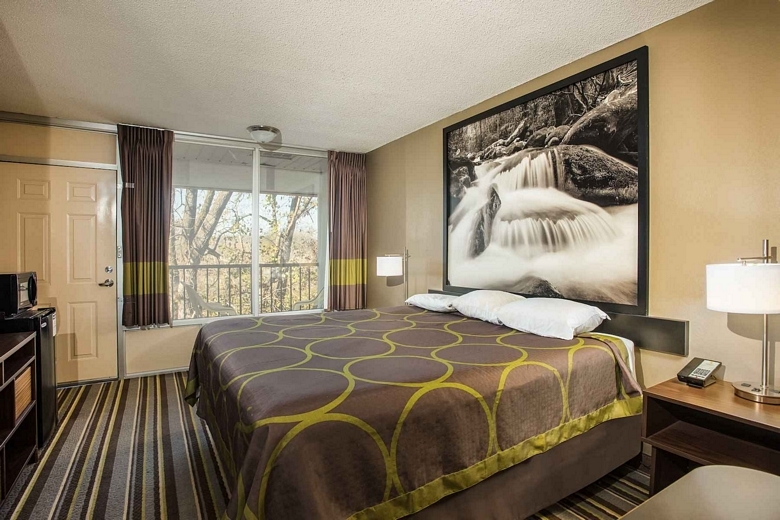 Welcome to Super 8 by Wyndham Sevierville Riverside! 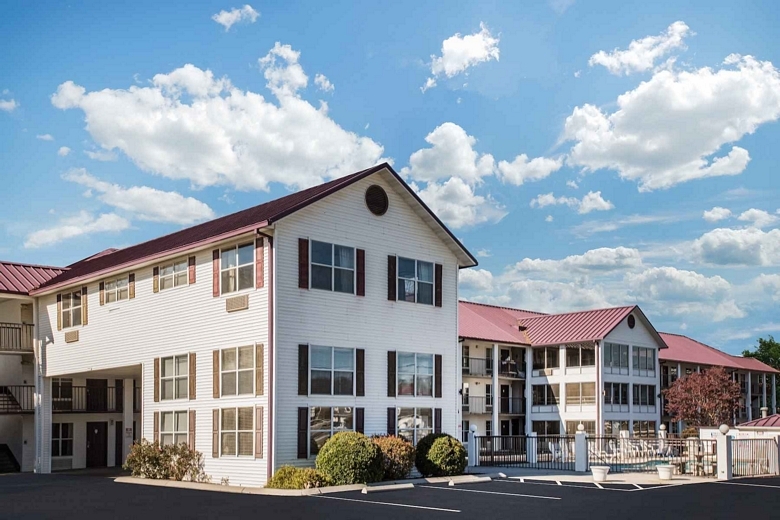 Our convenient, affordable hotel is just off I-40 on Highway 66, providing you easy access to many of Tennessee's best attractions and points of interest. 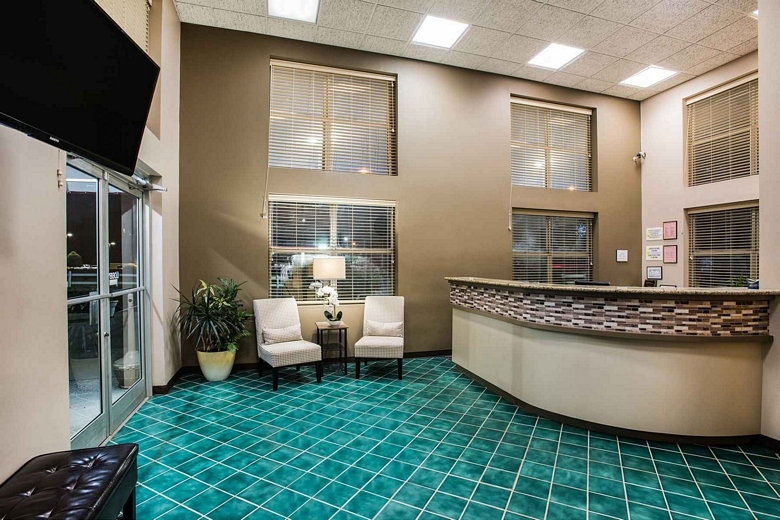 Expect a pleasant business or pleasure experience and excellent amenities. We are your hotel in Sevierville, Tennessee no matter how long you want to stay. We are the best of the Sevierville Convention Center hotels for a great overall experience and are also close to Pigeon Forge and Douglas Lake. Spend a day exploring the Great Smoky Mountains, head over to Dollywood or Smoky Mountain Palace or golf at popular Sevierville Golf Club. The options are endless when you stay here. Our selection of Sevierville, Tennessee hotels features an outdoor pool, free 8-item breakfast and free wifi. River view balconies are also available. These things plus the excellent staff of our hotel combine to make us the best budget hotel experience in Tennessee. We hope you will reserve a room with us for one night or several right away. At Super 8 by Wyndham Sevierville Riverside, we are a comfortable, affordable and convenient hotel where every guest feels at home and wakes up to great Sevierville mornings. Will you stay with us? 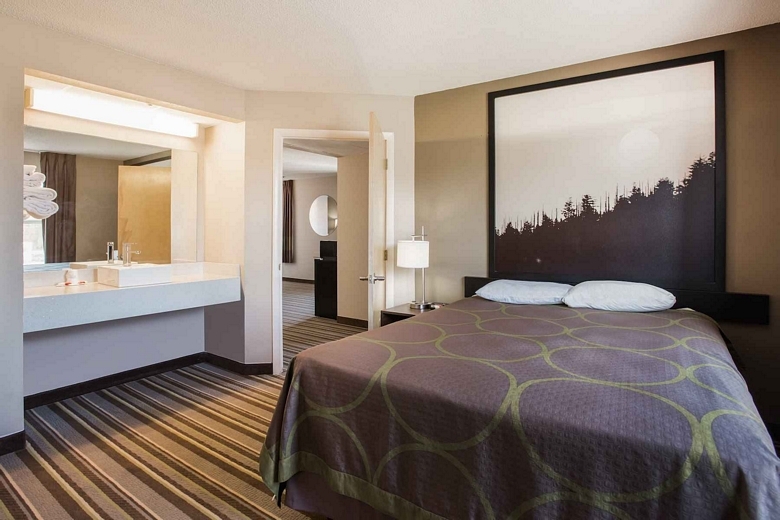 Looking for Sevierville Convention Center hotels that are right for your travel needs? 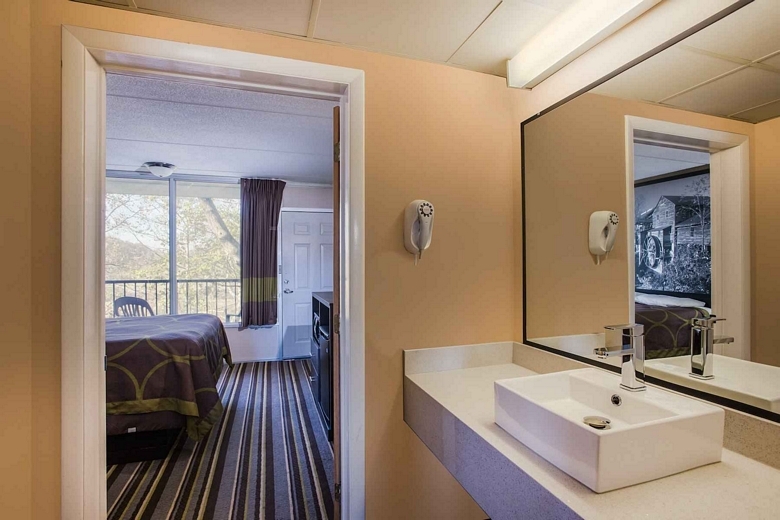 Whether you are looking for Great Smoky Mountains Sevierville hotels or just something convenient to a local business, you'll be happy and content with your experience when you stay at our well-regarded Super 8, the most affordable of the Sevierville, Tennessee motels. Ours is a simple and affordable place that's also right where you want to be to enjoy the many attractions and points of interest in the area if you have some downtime away from your business. Why not book a room now? Doing so is a smart decision that will meet your needs. May we serve you? Looking for cheap hotels in Sevierville TN for family travel? Whether you are looking for Dollywood hotels, something near the Smoky Mountains or are just passing through, we are here for you. 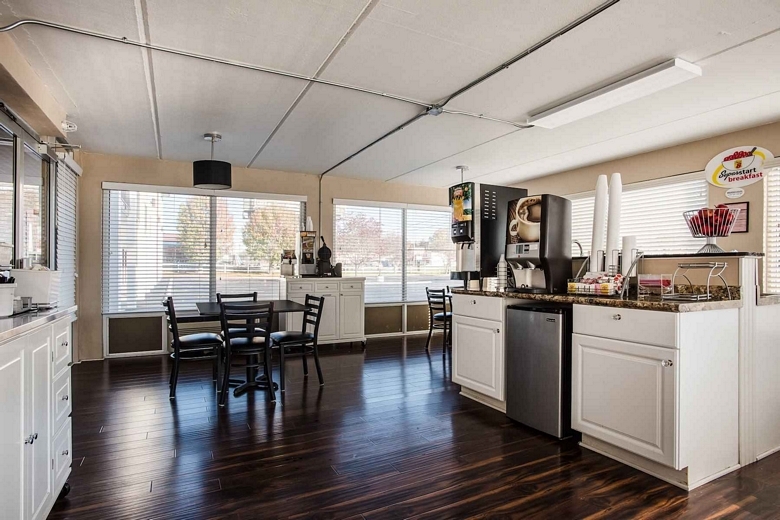 At this Super 8, we are a family that looks forward to serving your family. We are also great when you are looking for a Sevierville, Tennessee motel choices that put affordability first. Plus, our property is close to so many of the things you will want to see and do in this area. Why not book now? 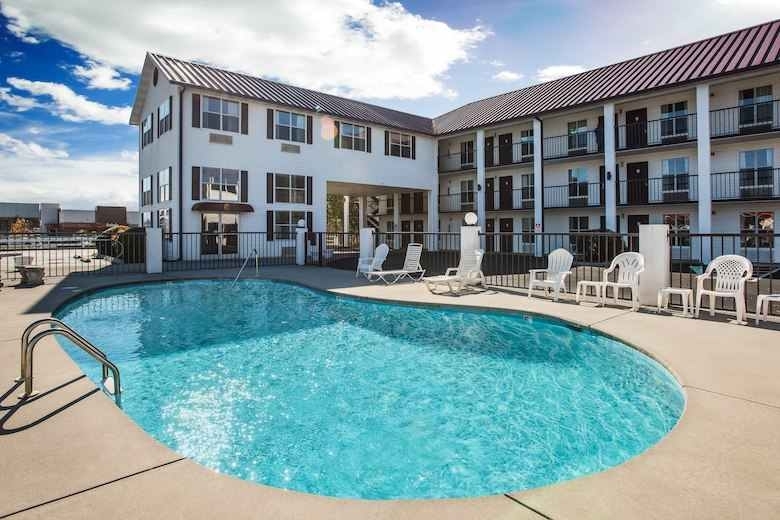 Making the smart decision to choose this Super 8 when in this part of Tennessee is certain to prove beneficial to you and your family. 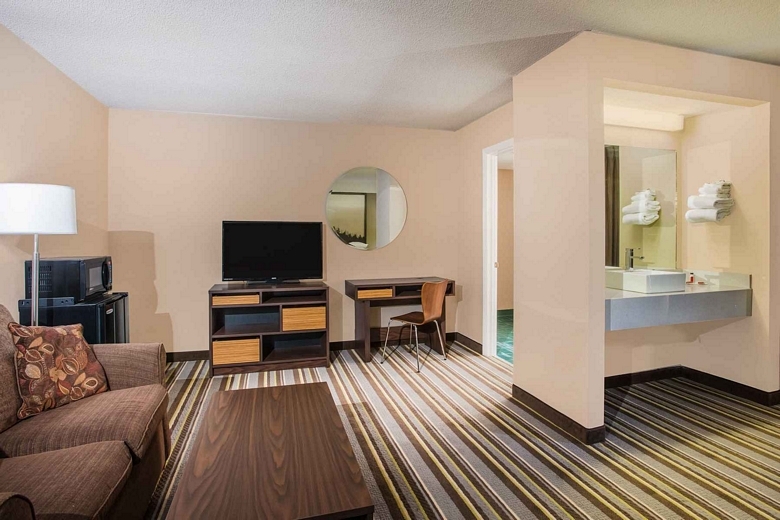 Whether you are looking for Sevierville hotels near Douglas Lake or perhaps Sevierville hotels near Dollywood, you can depend on us at this Super 8. We are here with an excellent place to stay that's everything you could possibly want at a price that’s so very affordable. 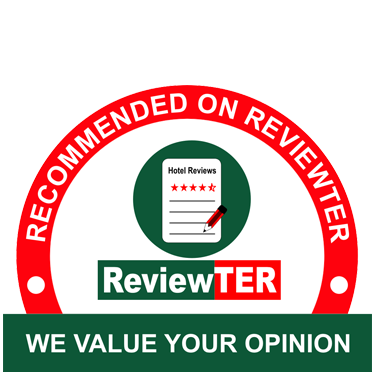 We believe that you won't find any other hotel in the surrounding area that better meets your needs while being as easy on your wallet. Why not book now – while you are thinking about it? It's a strong and sensible decision that we believe will serve you and yours. And nothing makes us happier than satisfying guests with our affordable prices that make it easy to enjoy staying with us. For the most comfortable of the Sevierville hotels near Douglas Lake, stay with us at our Super 8. Not all the hotels in this area are worth your time and money. But you already know that if you've stayed in the area in the past. The fact that you're looking for something better may mean you had a bad experience before. We provide unmatched comfort for the price and excellent amenities to further enhance your comfort. Why not book a room with us at Super 8 Sevierville and see how you can have a comfortable stay at a price that fits within any budget? We want to serve you. The Titanic Museum Attraction is close at hand when you stay in affordable comfort at this Super 8 hotel. WonderWorks Pigeon Forge is close when you stay with us in Sevierville and features so much, including laser tag. The Hollywood Wax Museum features replicas of cinema favorites and more - all for you to see for yourself. Explore local shops or visit a local restaurant for yourself and experience down-home Tennessee hospitality. 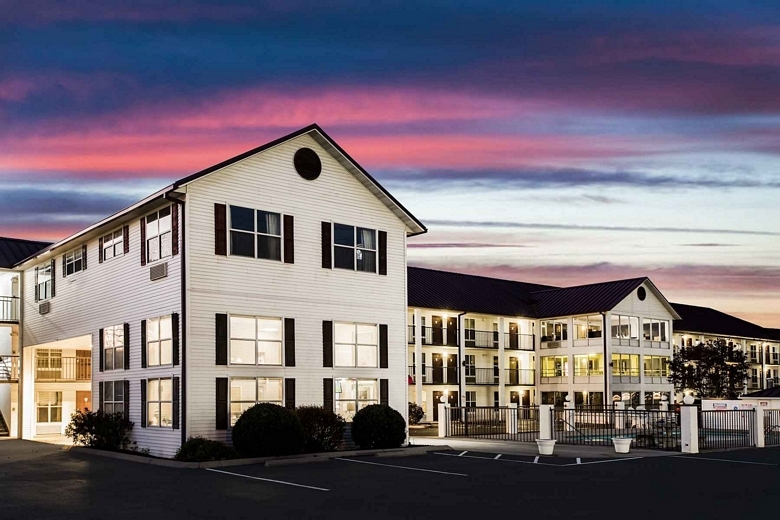 Affordable Sevierville Hotel near Kaw Lake and just 10 miles from Northern Tennessee College. This Website Is Owned And Maintained By Super 8 by Wyndham Sevierville Riverside, A Licensed User Of Certain Proprietary Trademarks And Service Marks Of Independent Franchisees Of Super 8 Worldwide, Inc.